It's almost hard to say that we're now in the month of September. Even though Eastern Canada is firmly entrenched in a summer-like pattern for the first week of September, I don't think anyone is going to forget the cooler than normal summer we experienced this year. It's been a nice of mix of studio and field reporting shifts for me recently. And even though my weeks are filled with early morning wakeup calls, there's nothing like seeing the sun rise on a summer morning. We do like to have fun in studio too. Case in point, the following picture. 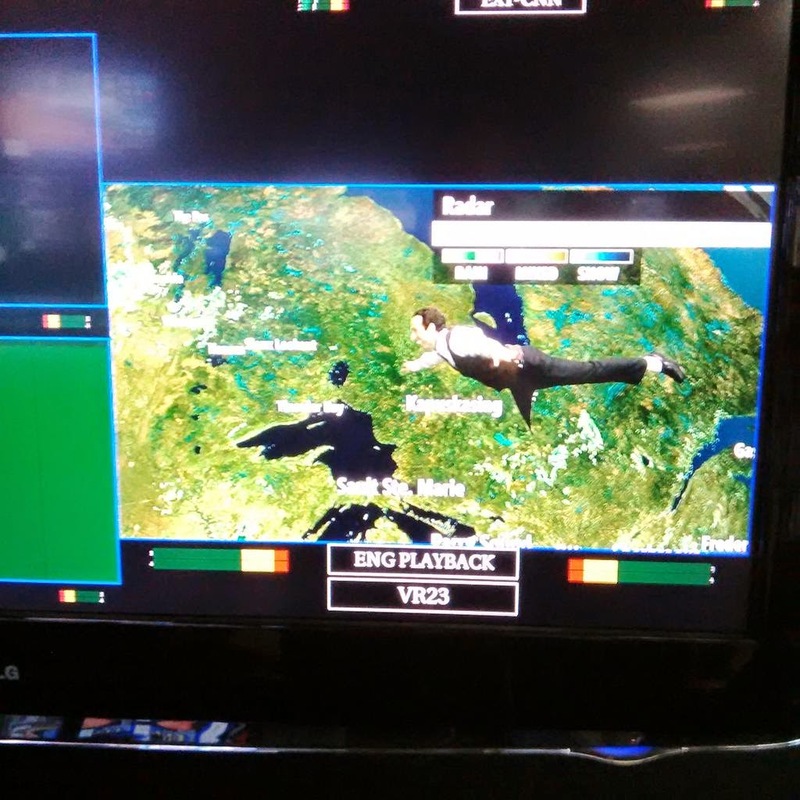 Take one new map that moves across the country, add a green blanket, and you have my best Peter Pan impression. Before I get into my September schedule, I'd be remiss if I didn't mention that pennants races are starting to heat up in Major League Baseball. 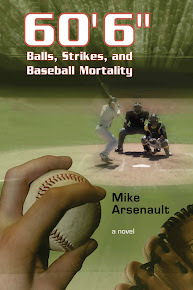 If you're looking to get into the mood for playoff baseball, why not grab a (autographed) copy of my novel 60'6": Balls, Strikes, and Baseball Mortality. Here's my August schedule. Of course, depending on what area of the country you live in, you may not be able to see me at these times as TWN runs five different feeds: British Columbia, Alberta, GTA, Atlantic and National (all times are ET). September 1 and 2 - 6 a.m. to 11 a.m.
September 3 - 5 a.m. to 10 a.m.
September 6 and 7 - 12 p.m. to 5 p.m.
September 8 and 9 - 6 a.m. to 11 a.m.
September 13 and 14 - 12 p.m. to 5 p.m.
September 15 and 16 - 6 a.m. to 11 a.m.
September 19 - 2 p.m. to 7 p.m.
September 20 and 21 - 12 p.m. to 5 p.m.
September 22 and 23 - 6 a.m. to 11 a.m.
September 27 and 28 - 12 p.m. to 5 p.m.
September 29 and 30 - 6 a.m. to 11 a.m.